On Friday Mike and I decided we’d spend the day hanging out together and headed off to the National Mall to check out some of the Smithsonian Institutions and get ourselves a free education. As Mike hadn’t seen any of the sights, we headed up to Capitol Hill to begin with and started on a similar route to the one I had taken previously. On the way through we agreed that the Air & Space museum was likely to be the most interesting museum and that would be our first stop. 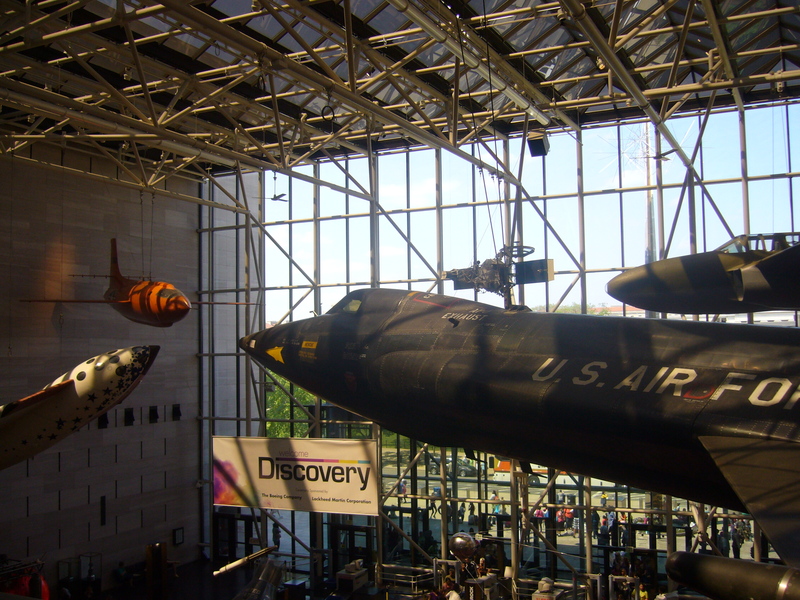 Little did we know at the time that the Air & Space museum is the largest collection of historic aircraft and spacecraft in the world. Once inside, after we’d battled through hoards of school children, we began looking at the space race exhibition. 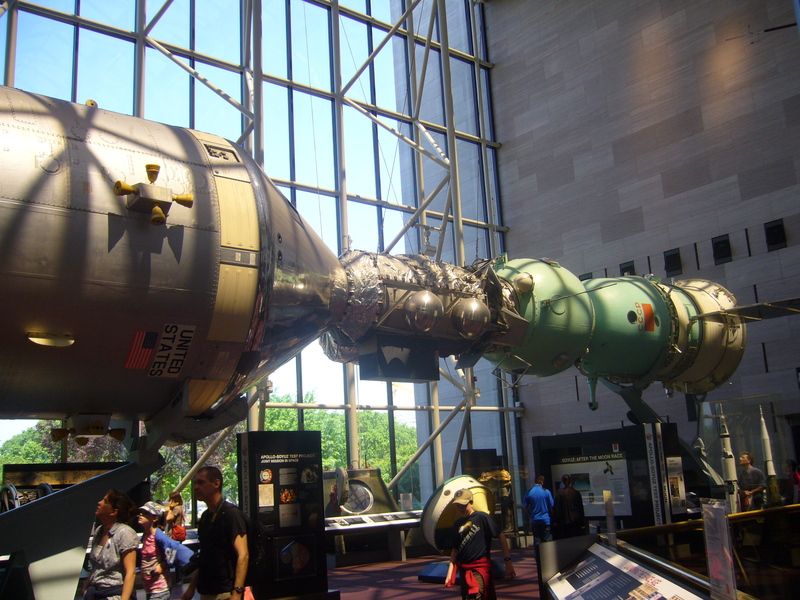 Having already been to the Kennedy Space Centre I had learned a little about the setbacks the Americans had faced in attempting to beat the Soviets into space. This time I picked up information on the initial progress from missiles right the way through to the shuttle launches. It’s fascinating to think of the way that war has lead to some of the most impressive of human endeavours. Over an hour had passed by the time we had taken in as much information as we could and we decided to move on to another exhibit. After watching a video on the Hubble Space Telescope at the K.S.C. I was interested to learn more about the history and research projects that lead to it’s development. 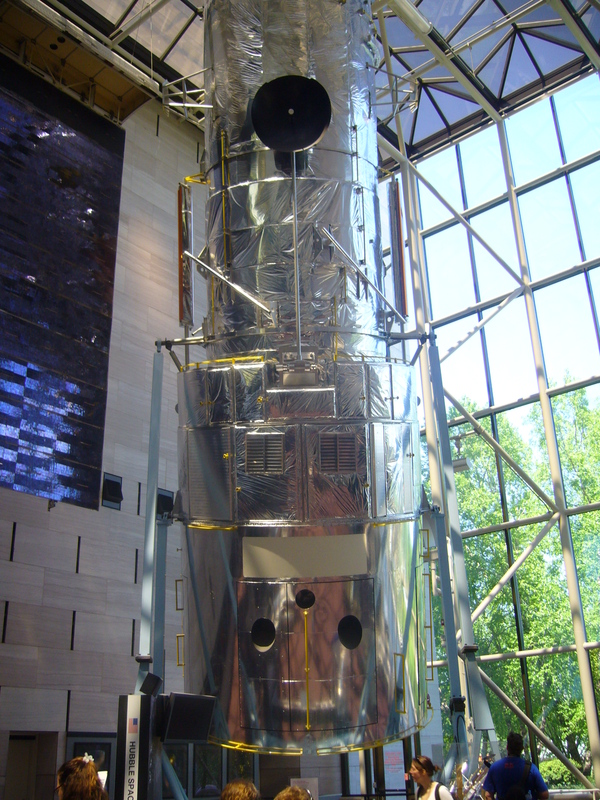 We started before Galileo and went all the way through to the final alterations to the Hubble, learning about spectrography and having a lot of fun with infra-red cameras. 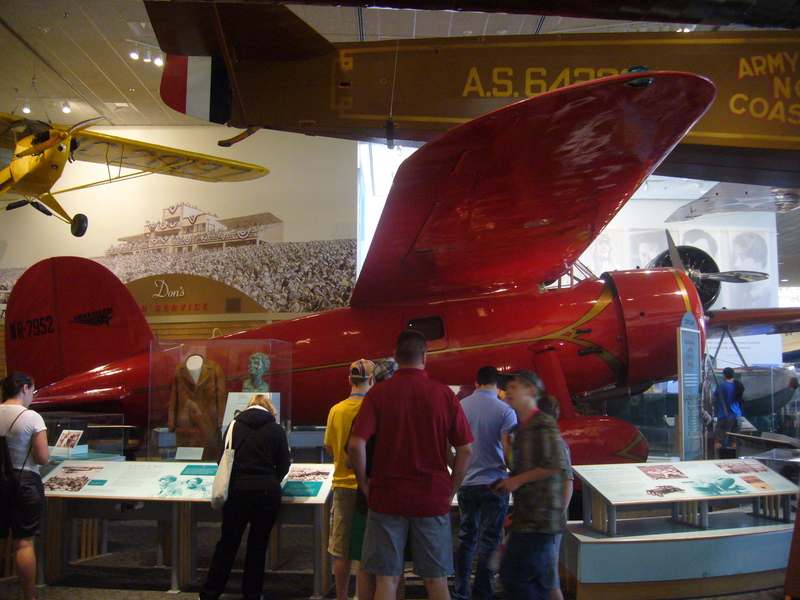 Once we had read as much as we could and our brains were full we decided we should go and look at some planes. On the way we bumped into Carissa who had left the hostel with the intention of catching up with us. The three of us spent the rest of the afternoon wandering between exhibits on the Wright Brothers and the Red Baron, talking about climate change, whether or not we would send manned missions to Mars, and the Australian Question Intonation. It soon dawned on Mike and I that we had been in the museum for over four hours and the evening was not far from us. Carissa left us to go to a yoga class and we headed into Downtown to find somewhere to eat. After walking two laps around the same block before we realized what we were doing, we found the Spy Museum and decided to grab a bite in the restaurant. On our way back through Downtown, Mike found a shop selling cup-cakes and he felt that it would be rude not to stop and at least have a look at the selection. I quickly fell under the impression that Mike was the kind of guy who liked cake. After having his cake and eating it, Mike and I headed back to the hostel. That evening the staff of the Downtown Washington Hostel were cooking spaghetti for everyone, which was well received by us and all the new arrivals. 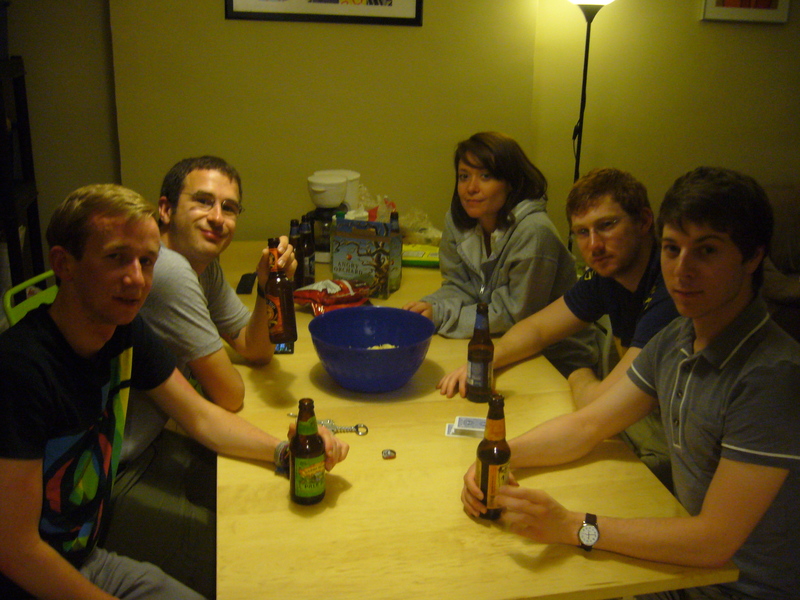 Once we’d eaten several of us went to the liquor store across the road to pick up some beers and we all got to know each other a little better, sharing stories from our travels and recommendations for places to visit long into the night. My good friend Taylor had reminded me that April 21st was Record Store Day, and after chatting with Mike about music we decided it would be in our best interests if we were to spend the next day in one of D.C.’s beautiful suburbs on the prowl for record stores. 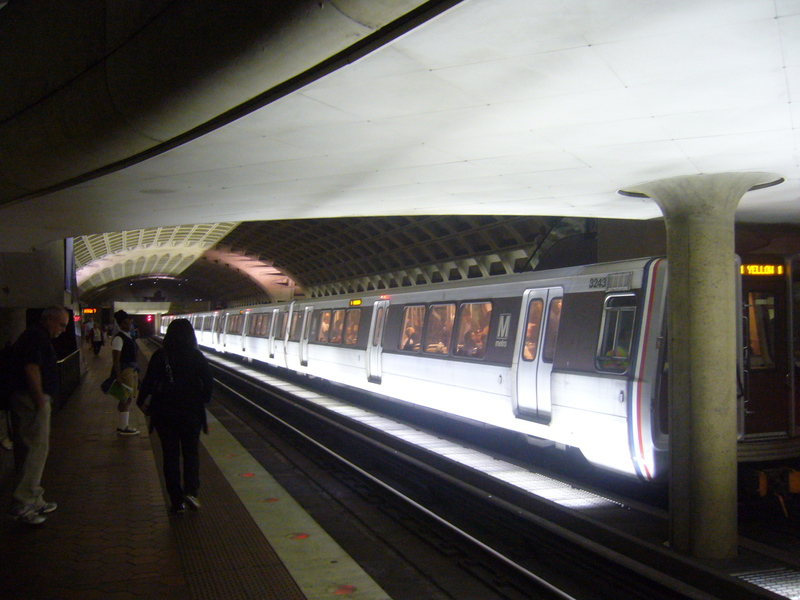 We navigated the metro system out to Adams Morgan and made our best attempts to make our way around the blocks without going full circle. 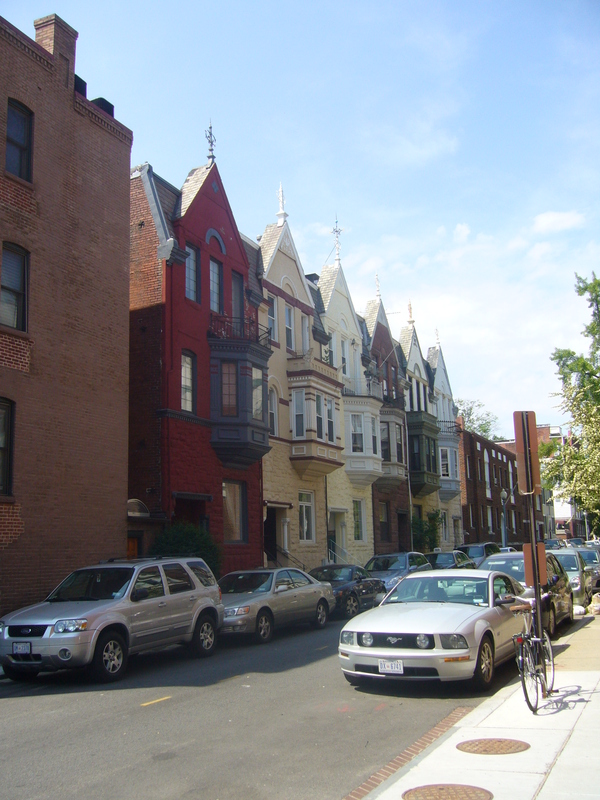 For most of our walk, we would both continually comment on how nice the area was; red brick town houses, tree-lined avenues and incredibly hip looking locals. We eventually found ourselves walking up one of 18th Street and saw what appeared to be a queue for a shop and found Crooked Beat Records, which was apparently the place to go. Having done a little bit of research the night before, Mike and I decided to keep walking as there was another store, Smash Records, further up the street and this turned out to be a small stroke of genius as there wasn’t a queue to get in. After browsing for sometime, Mike picked up a few LPs before deciding it was probably about time for lunch. Our intentions had been to get a takeaway and join the queue, but we found ourselves sitting down in what might have been an Ethiopian restaurant ordering a couple of sandwiches and took advantage of the people-watching hot spot we had found ourselves in. We headed back to Crooked Beat to find the queue had reduced significantly and in we went. This time it was my turn to make a purchase, picking up the Tallest Man On Earth’s King of Spain, which had a cover of Paul Simon’s Graceland as a b-side. I couldn’t resist. Once we’d finished we agreed we’d try to find one more and continued with our rich praise of the area before our final browse. We headed back towards the National Mall once we had enjoyed our fill of records, checking out the White House to find the Barrack was still unavailable for a spot of tea. We decided that while we were in the area, we should probably check out another of the Smithsonian Institutes and made our way to the American History museum in an attempt to get a better understanding of the chronology of American events. As with the Air & Space museum, there was simply too much to take in in one day and we only managed to cover the Presidents, the Revolution, and the Civil War. It has been a pretty long day, and our bodies had agreed that it was beer o’clock and we headed back to the Hostel to meet up with Liam and Brett from the UK, Raphaëlle from France, and Mark from New Zealand or Australia depending on who he was talking to. Once again we made a visit to the liquor store and began our night with a rather civilized game of Scrabble before moving on to mix cards with excessive drinking. 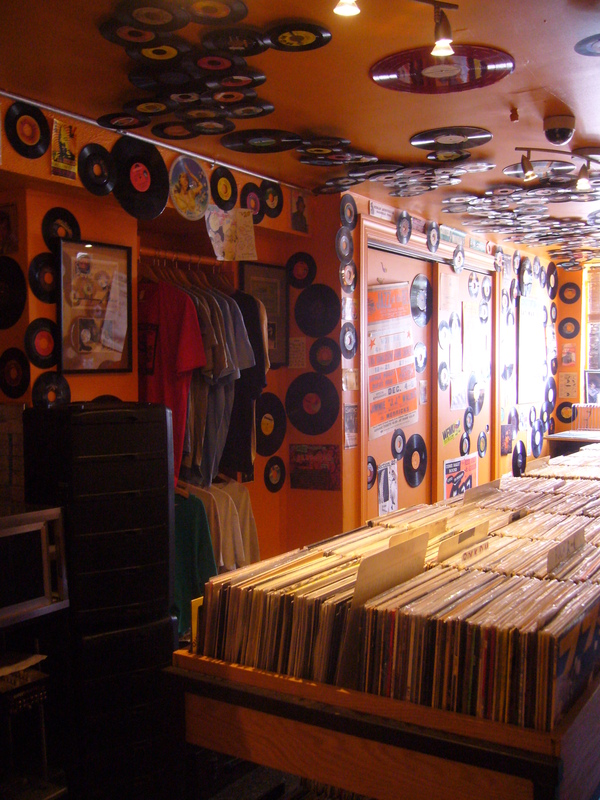 Tags: Record Store Day, Travel, Washington D.C.